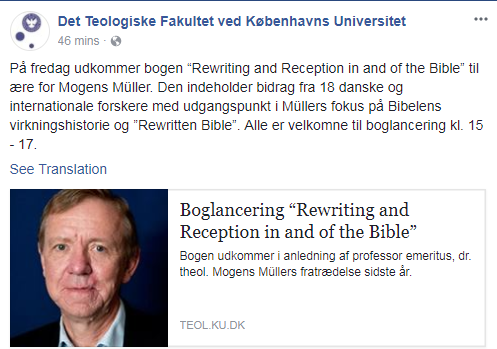 This looks to be a book presentation– perhaps a Festschrift, for one of the most capable of New Testament scholars- Mogens Muller. Bogen udkommer i anledning af professor emeritus, dr. theol. Mogens Müllers fratrædelse sidste år. 15.00 Velkomst v/ redaktørerne Jesper Høgenhaven, Jesper Tang Nielsen og Heike Omerzu. 15.10-15.50 Adjunkt Frederik Poulsen: De nytestamentlige forfatteres brug af Det Gamle Testamente med Lukas som eksempel. 15.50-16.30 Professor emeritus, dr. h.c. Halvor Moxnes: Pontus Wikner (1837-1888) and his “repainting” of Christ in terms of romantic friendship. Efterfølgende vil Afdeling for Bibelsk Eksegese være vært ved en reception. 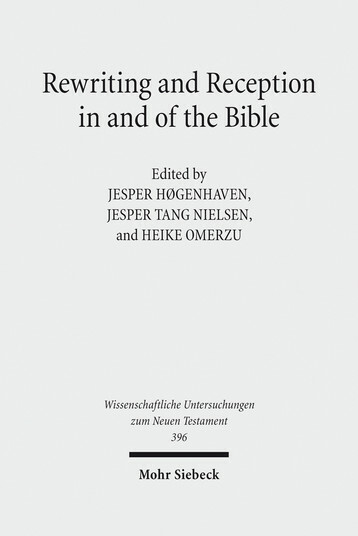 “Rewriting and Reception in and of the Bible” indeholder 18 bidrag der tager nogle af Müllers videnskabelige hovedinteresser op, som bredt kan beskrives som bibelteksters virkningshistorie og ”Rewritten Bible”. Reception ses her som en del af en kontinuerlig proces, der begyndte i selve den bibelske litteratur og har fortsat gennem fortolkningshistorien. A woman who abandoned children at her Oregon daycare to go tanning has been sentenced to 21 years, four months in prison. The Bulletin reports 32-year-old January Neatherlin was sentenced Friday after pleading guilty in February to 11 counts of first-degree criminal mistreatment and a count of third-degree assault. Neatherlin was arrested last year after police found seven children younger than 5 left unattended at her illegal day care center. 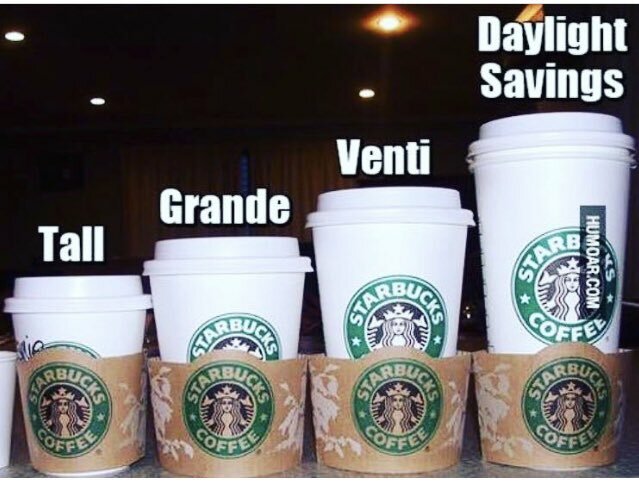 Authorities said she forced the children to take medicine to induce sleep before heading to the tanning salon or to the gym. The other counts of criminal mistreatment are for previous incidents with children. In court Neatherlin apologized, telling families that she had failed them and let them down. Neatherlin has prior felony identity-theft convictions under the names January Livsey and January Brooks. Apologies in such cases are meaningless. 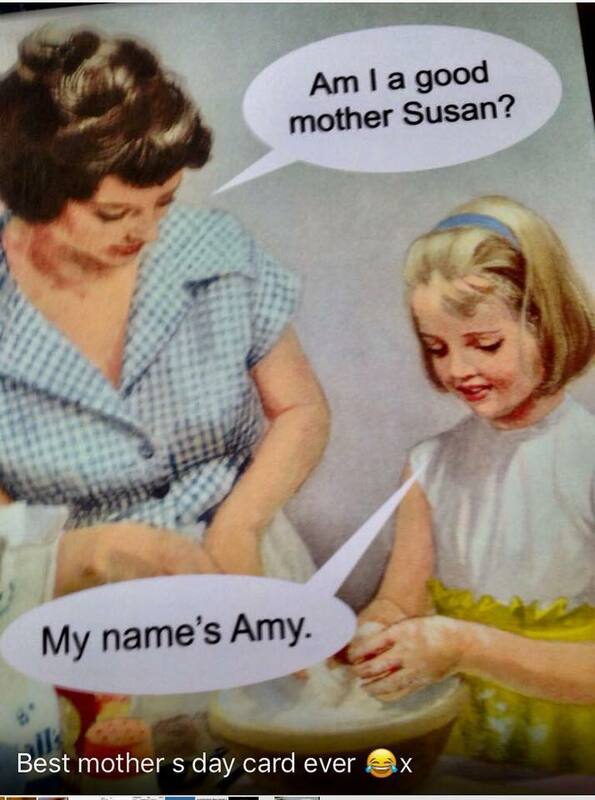 She isn’t sorry. She’s sorry she got caught.